wonder who this is ? - not a scene from bollywood ! At Chinnaswamy stadium, it was a very one-sided match – a defeat by 144 runs and NZ Press has written smugly of the captain – Brendon McCullum. 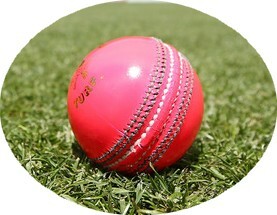 The Black Caps look set to play their second day-night test when they tour India later this year. BCCI Secretary Anurah Thakur is quoted as saying - "We have decided that we will play one day-night Test match with pink ball against New Zealand later this year." So far there's only been one test played under lights - New Zealand's loss in Adelaide last December – IPL may bring some crowds, wherever it could be, Kiwi team may not attract crowds and there could be empty stands in a Test match ! Back to IPL 2016, in a rain-hit encounter at the Eden Gardens in Kolkata, the Knight Riders extinguished any remaining hopes of Rising Pune Supergiants making it past the league stage as the hosts recorded an eight-wicket victory. MS Dhoni's side, which lost six of its previous 11 encounters while batting first, decided to set the target on a turning wicket. The decision backfired almost immediately as wickets fell and early introduction of spin pegged the visitors back further. With spinners exploiting the conducive Eden surface, Gambhir relished the chance the deploy as many as four close-in fielders to crank up the pressure on his opposite number. It was a sad day for Dhoni fans to see him struggle, not opening the shoulders at all and ending up at a miserable 8 off 22 balls, when rain saved further ignominy. From 74 for 4 in the 11th, Supergiants crawled to 103 for 6 in the 18th , when the clouds opened up, forcing an intermission in play. Rains did relent after forty minutes, play finally resumed late in the night, Ravi Ashwin took 2 wickets in the first over that of – Uthappa and Gambhir – the DL target of 66 in 9 was achieved so easily by KKR in 5 overs. At Bangalore, the star of T20, Chris Gayle fell for his eighth successive single-digit score when he chopped Dhawal Kulkarni on for 6 in the fourth over. More was to happen later. AB de Villiers and Virat Kohli broke a plethora of records enroute their 98-ball 229-run stand as Royal Challengers Bangalore amassed the second-highest total in the history of Indian Premier League, against a hapless Gujarat Lions attack. The duo blitzed 112 runs off the final five overs, sending Twitter into a tizzy. De Villiers remained unbeaten on 129 off just 52 deliveries; while Kohli was dismissed on the second last ball of the innings for 109 off just 55 deliveries. This pair has now had two double hundred partnerships in IPL. KOhli has made 3 centuries in this edition. At this juncture, Sunrisers, KKR, Guajrat Lions all have 14 points, Delhi & Mumbai Indians have 12; RCB have 10; Punjab 8 and Pune Supergiants mere 6. IPL has its share of dry fun and if you are wondering who the ‘bearder’ was – it is the man who once was bowling fast, now trying every quirky way on the field, Dany Morrison. 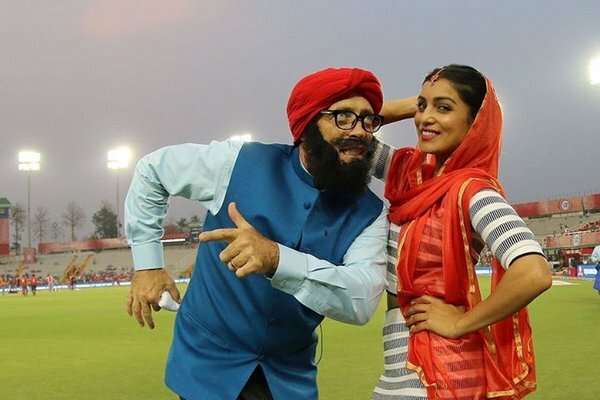 Morrison's co-host Pallavi Sharda also dressed up as a 'Punjabi kudi' to make it a total Punjabi affair. Down under, NZ Herald’s article showed their displeasure in Daniel Vettori on the run for the coaching role. The article reads that it would shock if Daniel Vettori accepted the head coaching role of the Indian cricket team. As someone who served the New Zealand side for 18 years, playing record numbers of tests and one-day internationals, and touring as much as any cricketer in our national history, the thought of continuing to rustle through his favourite suitcase for months on end can hardly appeal. The 37-year-old has a wife and three children, of whom the eldest is seven. The former all-rounder can now enjoy their school years safe in the knowledge he is only contracted about four months each year coaching in the Indian Premier League (with the Royal Challengers Bangalore until the end of the 2017 season) and Australian Big Bash (with the Brisbane Heat until the 2017-18 season). Endorsements deals and other business commitments to supplement his income will fill more of his schedule, but it leaves around eight months to be at the school gates and in the backyard when it counts. He might even find time to help with their homework and do a few chores. Presumably he has enough savings and investments spread across multiple platforms that he will never live hand-to-mouth. Why would Vettori spurn such an idyllic and hard-earned lifestyle to assume one of international sport's most scrutinised coaching jobs with a team who play as much as any other? The odds don't stack up. What is conveniently forgotten is India has had foreign coaches including Greg Chappel and tops the list is another Kiwi John Wright, and there were Gary Kirsten and Duncan Fletcher too !